Hey my loves! I hope all of you are doing amazing today! If you follow me on Instagram, then you might have already been anticipating this post! In case you don’t, then I would like to fill you in! For a long time now, I’ve been an ardent reader of Skin Care, Hair Care and Beauty Products. I love to read and share as much information as I can with all of you about the same. 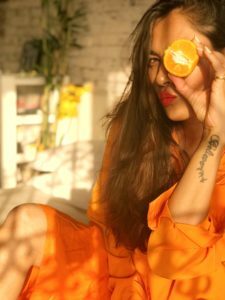 Now that we are on the onset of Summers, I decided to share with you, the benefits of VITAMIN C for Skin. 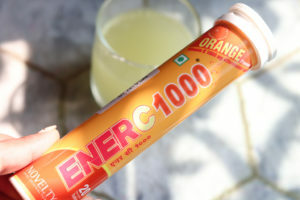 Vitamin C, is also known as Ascorbic Acid. It is a water soluble Vitamin and an antioxidant. It helps to repair and rebuild tissue, helps to heal wounds, strengthens the immune system, etc along with a list of other benefits. Vitamin C also helps with the elasticity of the skin since it boosts the production of Collagen. It helps to keep wrinkles and fine lines away, keeping skin healthy and youthful. I highly recommend starting the use of Vitamin C in your early 20’s in order to prevent/delay the signs of aging. Vitamin C helps to prevent and cure Sun Damage done to the skin. Sun damage could be in the form of sunburn, pigmentation, tanning, aging of the skin due to the sun’s UVA/UVB rays. Vitamin C helps to fight the damage and works on rebuilding the tissue of the skin, while lightening any spots due to the sun as well. 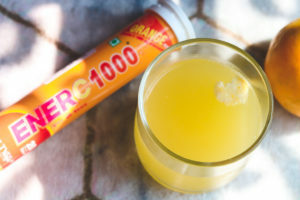 In case of a sunburn, Vitamin C helps to Heal the skin. Topical Application: At present, I am using the Kiehl’s Clearly Corrective Dark Spot Solution in my morning skin care routine. 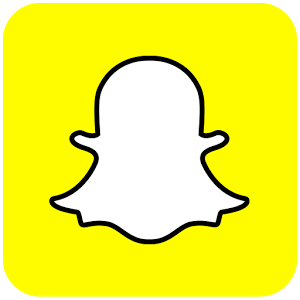 (I have used it before for a long time as well. But I keep switching between a 2-3 serums that I’ve spoken about here from time to time.) 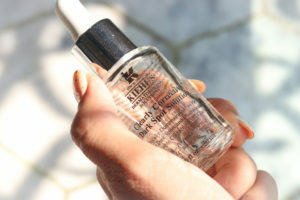 The Kiehl’s serum is a light weight one, which almost feels like water! I directly add about 3-5 drops of the product on my skin, using the dispenser. About 2-3 drops are actually enough though. 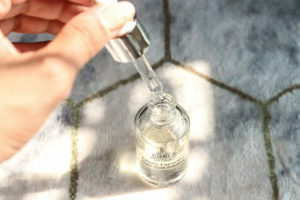 If you use a toner like me, then let the toner nicely settle into the skin (after cleansing your skin well) for about 2 minutes or so, and follow it up with the serum. 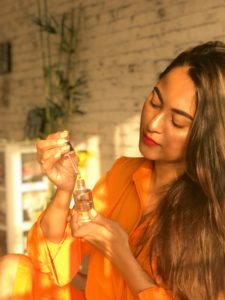 I then, gently pat the serum into the skin making sure it has nicely penetrated and there’s no residue on the top of the skin. I follow it up with my moisturiser and make sure to use a sunscreen at the end of the routine. 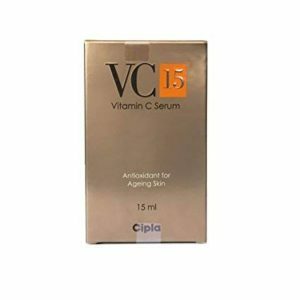 I also recommend using the VC 15 Vitamin C serum by Cipla. This was recommended to me by my dermatologist and friend, Dr.Geoffery Vaz. VC 15 is slightly thicker and I recommend it for extremely dry skin only. In my opinion, it does feel slightly oily on the skin. 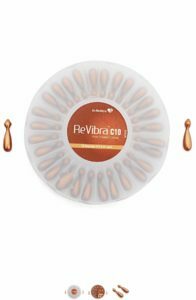 You can also try the Vitamin C serum capsules by Dr.Reddy’s, called ReVibra C10, Pure Vitamin C Cream. It comes in a set of 28 capsules. You need use Only One in your everyday routine. 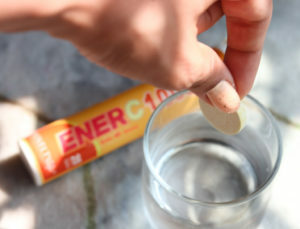 Taking care of your skin, when using Vitamin C: Like I mentioned, make sure to use a Sunscreen. Especially when you are using Retinoids, and Vitamin C in your skin care routine. These products make the skin more photo-sensitive (sensitive to the sun). So, it is always recommended to use a sunscreen especially when using these products. Also, even if you are not including Vitamin C/A/Retinoids in your skin care products, make sure to use a sunscreen to prevent any radical damage done to your skin. 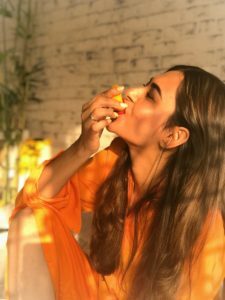 Lastly, you can also include fruits and vegetables that are rich in Vitamin C and Anti-oxidants to keep your skin healthy and fresh looking in the summer time. Add some oranges to your bottle of water, squeeze a lemon in your water. Avoid aerated/sugary drinks. 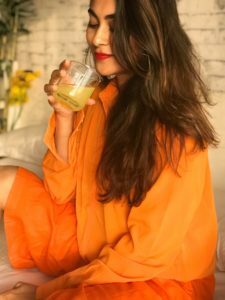 Make your own Vitamin drink to sip on while working out. Get a salad. Have some broccoli, drink lots of water and watch your skin change!